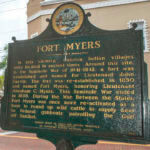 In 1886, inventor Thomas Edison purchased land along the Caloosahatchee River in Fort Myers and constructed a winter home dubbed Seminole Lodge where he and his wife Mina wintered until the inventor’s death in 1931. Wanting to spend the winters with the Edison’s, their friends Henry Ford and his wife Clara purchased the adjacent property in 1915 and built a bungalow-style house naming it The Mangoes. 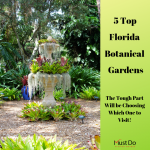 Today, the Edison & Ford Winter Estates features over 20 acres of lush botanical gardens boasting over 1,700 plants and one of the largest Banyan trees in the U.S. Read our blog article about our visit to Edison & Ford. Visitors can explore nine historic buildings including Henry Ford’s home and Thomas Edison’s main house, guest house, caretaker’s house, the ahead of its time pool complex and the pier built to deliver materials for construction. 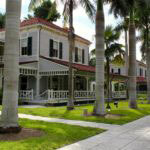 There is a wide range of tour options available to experience the Edison & Ford Winter Estates. 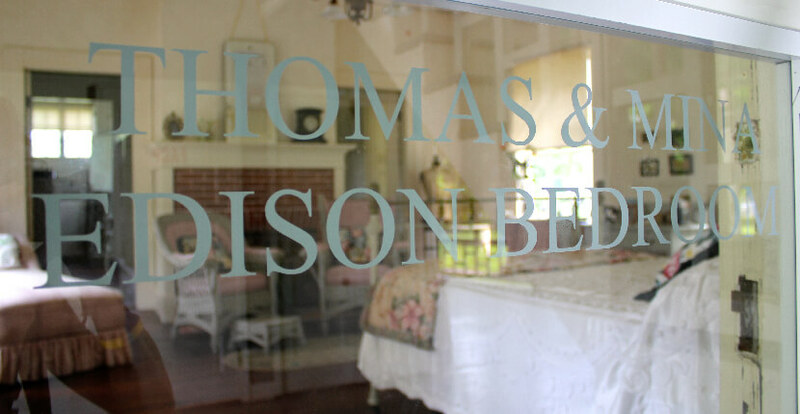 Also, unique to the estate is Edison’s Botanic Research Laboratory, which was built for researching a domestic source for organic rubber and is now filled with the actual equipment Edison used to conduct his research. A 15,000 square foot air-conditioned museum displays some of Edison’s inventions, artifacts, and exhibits as well as a Model-T Ford, which was a gift from Henry Ford. Costumed actors portraying the Edison’s, the Ford’s and their friends can be found milling about, giving visitors a glimpse into how these wealthy residents lived during that time period. 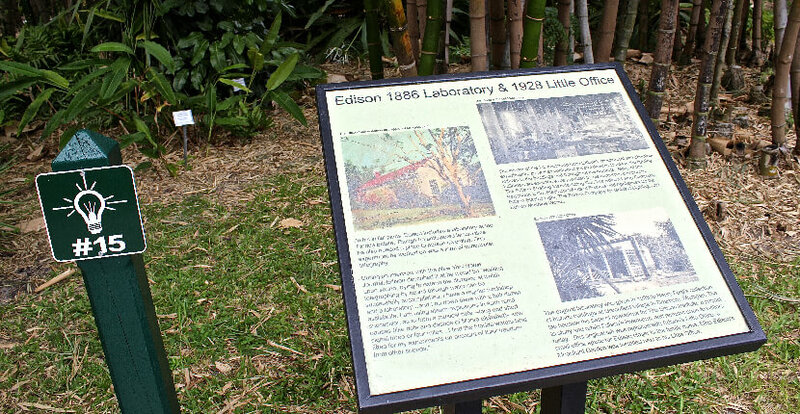 Go inside Edison’s Laboratory on a 60 minute Inside the Lab Tour to learn about the operation of the historic Edison Botanical Research Laboratory, a National Historic Chemical Landmark, which has undergone an extensive two-year restoration. 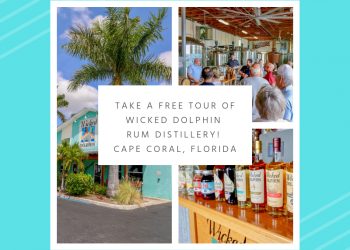 Inside the Lab Tour is an exciting, in-depth tour that is not combined with any other Edison Ford Estates tour. Tours are offered on Tuesday at 10:30 a.m. Admission is $10.00 for members, $40.00 for adult non-members and $16.00 for children ages 6-12. The final major research project of Thomas Edison was the search for a domestic source of natural rubber. 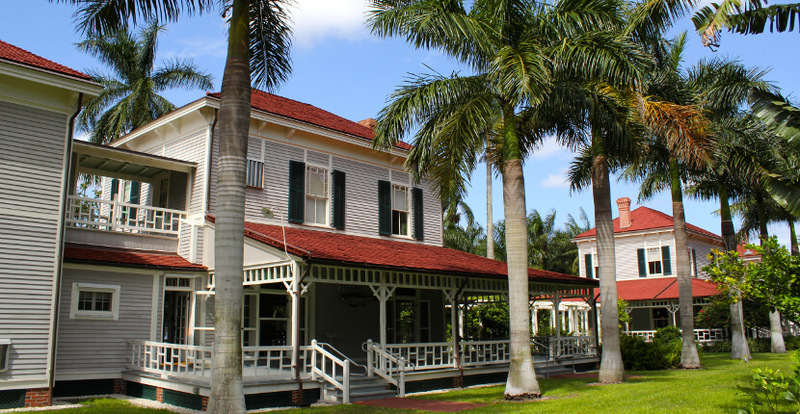 Visitors can see and experience the new Edison & Rubber: A Scientific Quest exhibit in Edison & Ford Winter Estates newly remodeled museum hall. The exhibit presents the beginnings of Edison’s interest and the importance of natural rubber, as well as the formation of the Edison Botanic Research Corporation, Edison’s successful experiments with plants, and the conclusion of the project after Edison’s death in 1931. The exhibit also includes a rubber floor, the original lab results of how much rubber each tree and plant produced, samples of rubber in various stages of completion, and a video depicting a re-creation of Edison’s rubber experiment. The Smithsonian Spark! 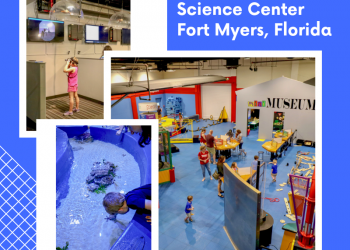 Lab is a hands-on, interactive exhibit for families and children. A series of rotating stations with themes from vehicle construction to understanding sound waves will challenge visitors to place themselves in the mindset of an inventor. The Timeline of Innovation is a chronological exhibit of both Edison’s and Ford’s major innovations. The timeline highlights achievements in dozens of fields and will showcase some of the most interesting artifacts. It will also provide visitors with a narrative on how Edison, Ford, and others built on earlier innovations to create their own inventions. Be sure to stop by the Museum Store or Garden Shop and bring home something from your visit. 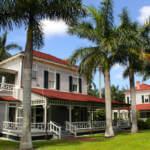 The Edison & Ford Winter Estates is the winner of the 2009 National Stewardship Award from the National Trust for Historic Preservation and is an official project of “Save America’s Treasures” at the National Trust for Historic Preservation, a Florida Historic Landmark, and a National Register Historic Site. 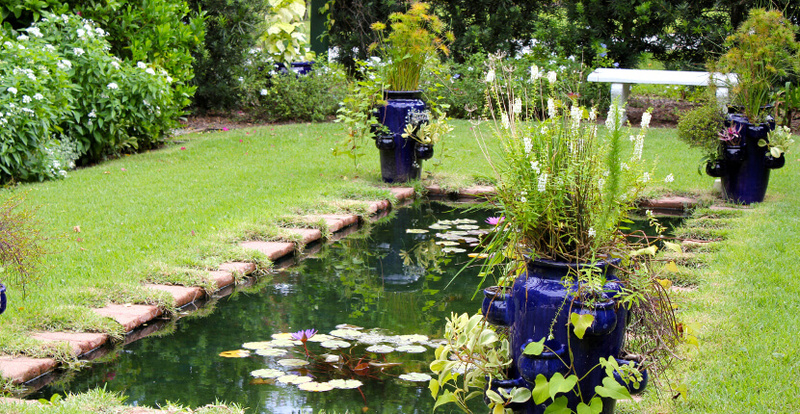 Learn about the ecology and history of the river that the Edison and Ford families loved so much with a river cruise from Pure Florida. 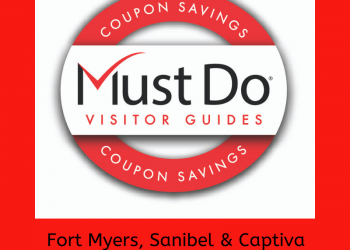 Enjoy an exciting 90-minute river cruise on Pure Florida’s M/V Edison Explorer. Sunset, sightseeing, or eco-cruises are also offered daily. The Marina at Edison Ford is located at 2360 W. First Street in downtown Fort Myers (or Marker 54 by boat). For reservations and additional information call 239.919.2965.